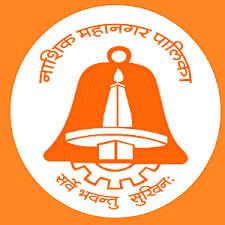 Nashik Municipal Corporation has announced notification for Nashik Mahanagarpalika Bharti 2019 on its official website (www.nashikcorporation.in). Recruiting Department is inviting applicants for a total of 11 Group Organizers posts in Nashik. This is really best opportunity for participants who want to do the job in Nashik Municipal Corporation. All the eligible and interested candidates can apply for Nashik Mahanagarpalika Recruitment till 11 March 2019. You must have to read official notification to confirm your eligibility before apply (Official Notification PDF link is given below in this post. On this page, Candidates can get brief information like Selection Process, Educational Qualification, Eligibility Criteria and Pay Scale information of this recruitment. The last date for submitting the application is 11 March 2019. The application received after the last date as well as incomplete and eligible applications will not be considered. Are you searching job in Nashik Mahanagarpalika Bharti 2019? If yes then here is great news for you. Nashik Municipal Corporation, Maharashtra has released a total of 5 jobs for the Medical officer posts. Official Notification PDF is given in this post, read it carefully and if you are eligible for Nashik Mahanagarpalika Recruitment then apply offline by filling the offline application form. Offline Registrations are available on Nashik Municipal Corporation Official Website www,nashikcorporation.in and it will open till 11 February 2019, after that online registrations will close. You will get brief information like Educational Qualification, Selection Process, Eligibility Criteria and Important Dates in the below article. So read this article till the end to get all the information regarding this recruitment. maz BA FINAL zale ahe mala job chi garj ahe tari mi karnays ichuk ahe mala margdarshn karave hi vinti plz………. स्पर्धा परीक्षेची तयारी करु शकता नक्कीच यशस्वी व्हाल….